This video is part of an ongoing series of Areaware video shorts, providing 1 min. explanations of our products. Each video is produced in-house by the Areaware creative team. In 1946, Buckminster Fuller patented a map of Earth which presents geographic information without breaks in any of the continental contours, or any visible distortion of the relative shapes or sizes of the land masses. In 1954, with architect Shoji Sadao as cartographer, the Dymaxion Projection as we know it today was created. Designer Brendan Ravenhill has configured Fuller’s projection as a magnetic folding globe, a representation of Earth that easily transitions from flat to three dimensional. 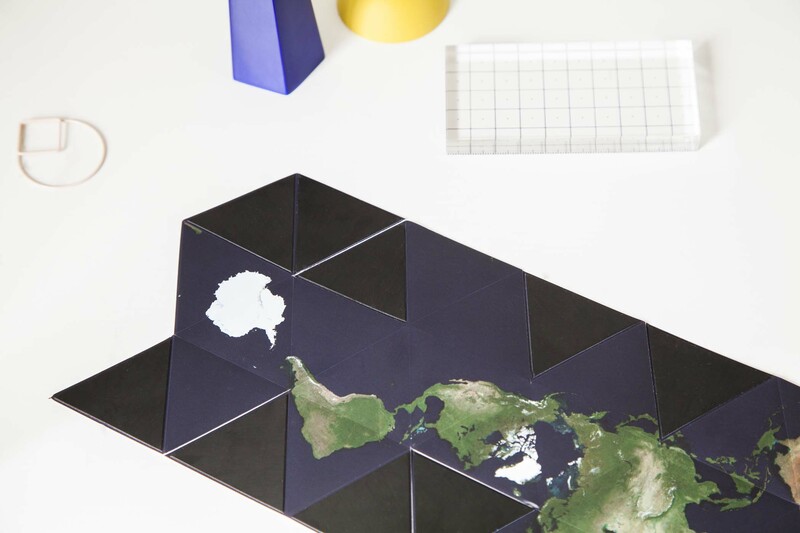 Fold it to form a geometric globe or unfold to reveal our flattened planet.